Several obscure prophecies in the Bible point to the fact that the tribe of Dan will produce the Antichrist. In the context of these prophecies, Samson's riddle may also be a prophecy that the descendants of the tribe of Dan will one day try to destroy the tribe of Judah in jealous revenge for God's judgment on their idolatry. From the carcass of the young lion (Judaism) the tribe of Dan (typified by the bees) will attempt to produce their own golden age (symbolized by honey) and confer immortality on mankind through occult enlightenment. The conspiracy of the tribe of Dan, aka the Synagogue of Satan, to steal the messianic birthright from the tribe of Judah and establish a false messianic kingdom in Israel is given more detailed treatment in our report, Mystery Babylon: Catholic or Jewish? To suggest that the Antichrist will be from one of the tribes of Israel is likely to incur accusations of "anti-Semitism" from those who would like to conceal this fact. However, we believe that the Biblical admonition to bless the descendants of Abraham, per Genesis 12:3, includes exposing the identity of the man of sin who will lead many Jews to their destruction. The following paper is meant to serve as a study guide for understanding the plan of Satan to introduce his false messiah who will be of the apostate tribe of Dan. The reader will be able to review the many Scriptures which concern the tribe of Dan—the prophecies, the Danite people, their land, history, idolatry and symbols—in conjunction with relevant information from other sources. Different Bible versions allow for different interpretations of prophecy. Therefore, the traditional view represented by the King James Version is used in this report. Scripture indicates the following: That the Antichrist is Jewish; He will come from the region of Dan/Mount Hermon (Mount Sion) in the north of Israel as a false fulfillment of Romans 11:26; The tribe of Dan will be rejected by God as part of the 144,000 and will be used by God to bring judgment upon Israel and the unbelieving world. The Tribe of Dan inherited the pre-flood paganism (Baal worship) of the Canaanites (descendants of Ham and his son, Canaan) who occupied the northern area of Palestine at Mt. Hermon/Sion. Located at the 33rd degree, the ancient tribe of Dan influenced the basis of modern Freemasonry. The symbols of the tribe of Dan are used by the Merovingian Jews, the Jewish House of Stewart and the Jewish authors of the Protocols of Sion (Representatives of Sion of the 33rd degree). The Tribe of Dan was involved in a substitute worship system at Mount Hermon/Sion that was both opposed to and removed from the true worship of God at Mount Zion in Jerusalem. 3. He is from the serpent's root. Please note the context of Isaiah 14 is Lucifer's fall to earth in the endtime (Revelation 12). B. Merovingian Jews are descendants of Dan. 1. Arcadians/Spartans are of the Tribe of Dan. 2. Celts are descendants of the Tribe of Dan. 3. The Celts and their ancestors were known for tattooing their bodies, which the Antichrist will require of all mankind. According to Parker's Astrology, the Eighth Astrological House is October 24- November 22. Scorpio is the eighth astrological sign. In the KJV, the Old Testament contains only 2 renderings of Mt. Sion, which is Mt. Hermon. (Deut. 4:48, Psalm 65:1) However, the Septuagint changes all of the Hebrew spellings of "Zion" to the Greek "Sion". 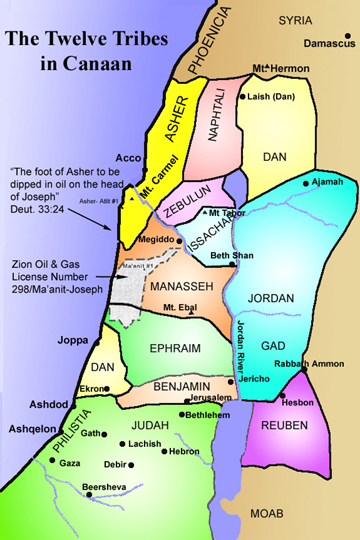 The lack of distinction between Mount Hermon and Mount Zion creates confusion. Quest Books, Theosophical Society, 1993. Hackett, Prof. H.B. Ed., DR. WILLIAM SMITH'S DICTIONARY OF THE BIBLE, Grand Rapids MI, Baker Book House, 1971, 1870. Hastings, James. A DICTIONARY OF THE BIBLE, NY: Charles Scribner's Sons, 1923. Roberts and James Donaldson, Editors, Hendrickson Publishers, 1994. M'Clintock, The Rev. John and James Strong. CYCLOPAEDIA OF BIBLICAL, THEOLOGICAL AND ECCLESIASTICAL LITERATURE, NY: Harper and Brothers Publishers, 1872. Morris, Robert. FREEMASONRY IN THE HOLY LAND: A NARRATIVE OF MASONIC EXPLORATIONS MADE IN 1868, IN THE LAND OF KING SOLOMON AND THE TWO HIRAMS, LaGrange KY, 1879. THE NEW CATHOLIC ENCYCLOPEDIA, Ed., Catholic University of America, NY: McGraw-Hill, 1967. Pfeiffer, Charles F. BAKER'S BIBLE ATLAS, Revised Edition, Grand Rapids MI, Baker Book House, 1997, 1961. "Protocols of Zion", BEHOLD A PALE HORSE; Editor: Milton William Cooper Sedona, AR: Light Technology Publishing, 1991. Sauer, Erich, THE TRIUMPH OF THE CRUCIFIED: A SURVEY OF HISTORICAL REVELATION IN THE NEW TESTAMENT, Translated by G.H. Lang, Wm. B. Erdmans Publishing Co., 1951. Springmeier, Fritz. THE TOP 13 ILLUMINATI BLOODLINES, Portland, OR: Fritz Springmeier, 1995..
Strong, James. THE NEW STRONG'S EXHAUSTIVE CONCORDANCE OF THE BIBLE, 1984. Unger, Merrill F. THE NEW UNGER'S BIBLE DICTIONARY, R.K. Harrison, Ed., Chicago, Moody Press, 1988, 1957.